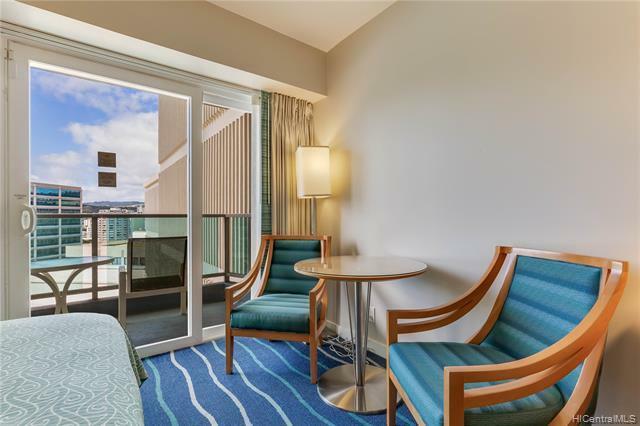 Very desirable partial ocean view room with great views of the sunset and evening city lights overlooking Ala Moana Center. 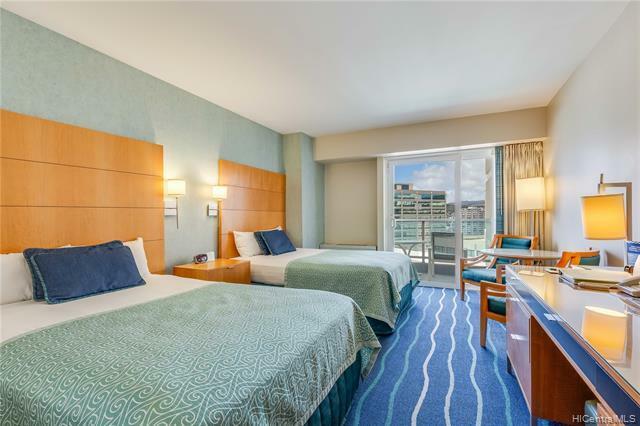 Two beds, close to the elevator, in the preferred Waikiki Tower make this very convenient for a traveling pair. 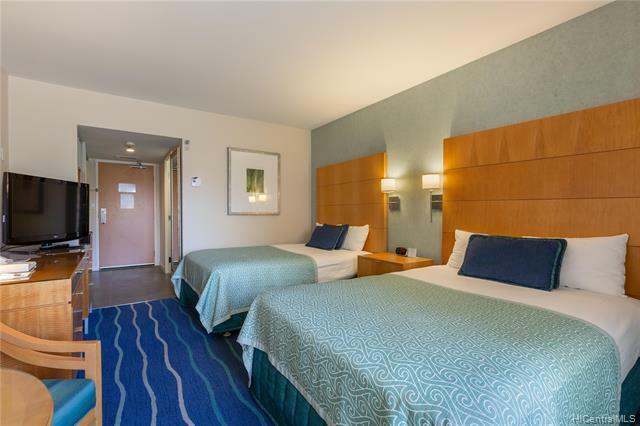 Already in the hotel rental program for ease of transition and instant rental income. Income statements provided, showing a history of occupancy and cash flow. 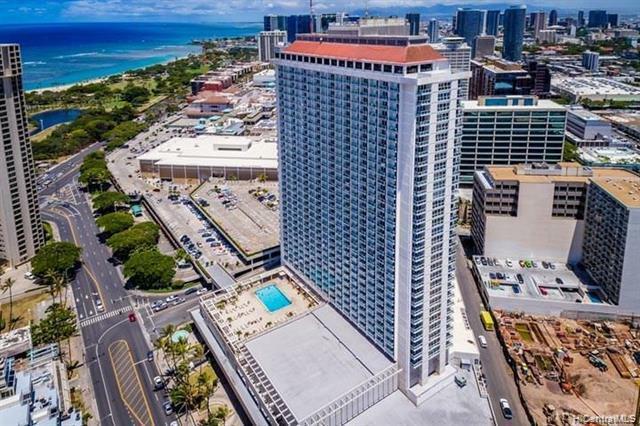 Hawaii's GE and TAT tax filing by the hotel (for $10/month) makes it a breeze as an owner. Experience this home as if you were there in our 3D virtual tour by clicking the film reel or virtual tour link. Used as a cash flow investment, with the additional benefit of letting friends and family stay there without charge (except for a mandatory $40 check out fee).